Did you know that sudden cardiac arrest (SCA) is the number one cause of death in the United States? About 300,000 out-of-hospital SCA’s occur annually and 80% of those occur at home! As only about 8% of those experiencing out-of-hospital SCA’s survive, it seems vital that to increase those odds, we need to increase the number of people trained in CPR. 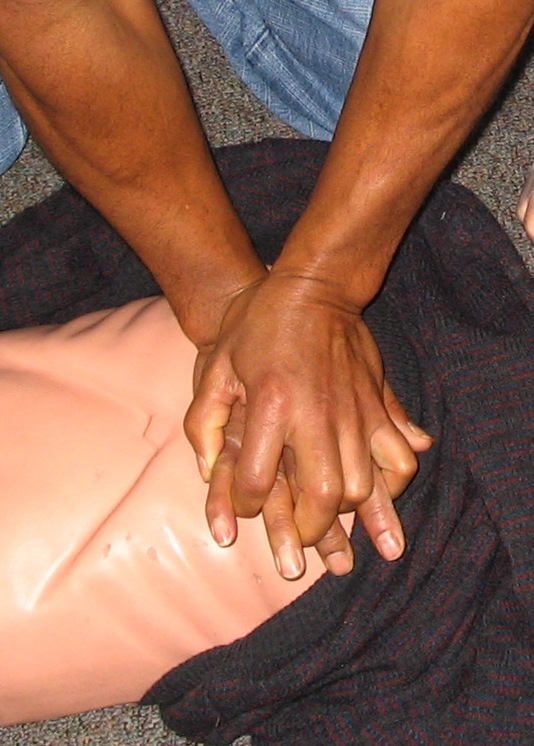 About 70% of Americans have never been trained in CPR or their training has significantly lapsed. That’s important today, because in late 2010, CPR standards changed and it’s easier than ever to help a victim of witnessed SCA. CPR training now emphasizes “Compressions First”, and for adult victims of witnessed SCA, Compression-Only (or “Hands-only”) CPR is something that even untrained bystanders can begin immediately and make a significant difference. It’s easy! When someone collapses suddenly, is not responsive and is not breathing (or not breathing normally), make sure 9-1-1 has been called, and have someone get a portable defibrillator (AED) if it is available. If no one else is around, do this yourself. Please watch this one minute video tutorial. It’s the best minute you can ever spend to save someone you care about. Finally, please consider signing up for Evergreen Safety Council’s next Open Enrollment First Aid / CPR & AED class on June 29, 2012. Thank you for taking the time to provide your comment on this topic. We welcome comments on your experiences in safety & health, as well as additional safety ideas and resources. Please remember to keep it clean and be respectful of others. We reserve the right not to include comments that do not pertain to the posting.